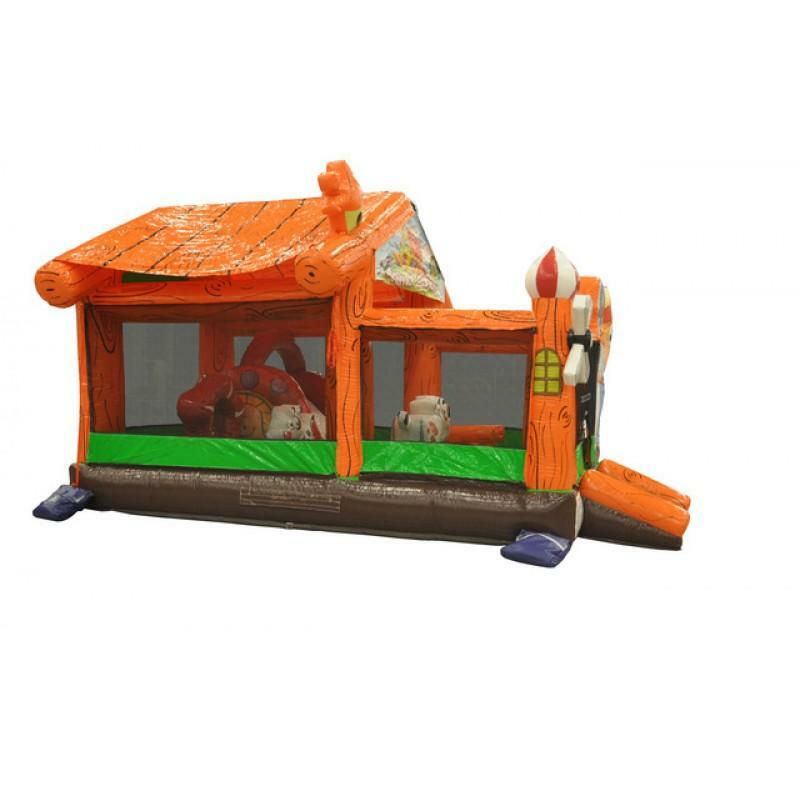 Kids just want to have fun, and that is what the Animal Ranch Bounce House allows them to do. 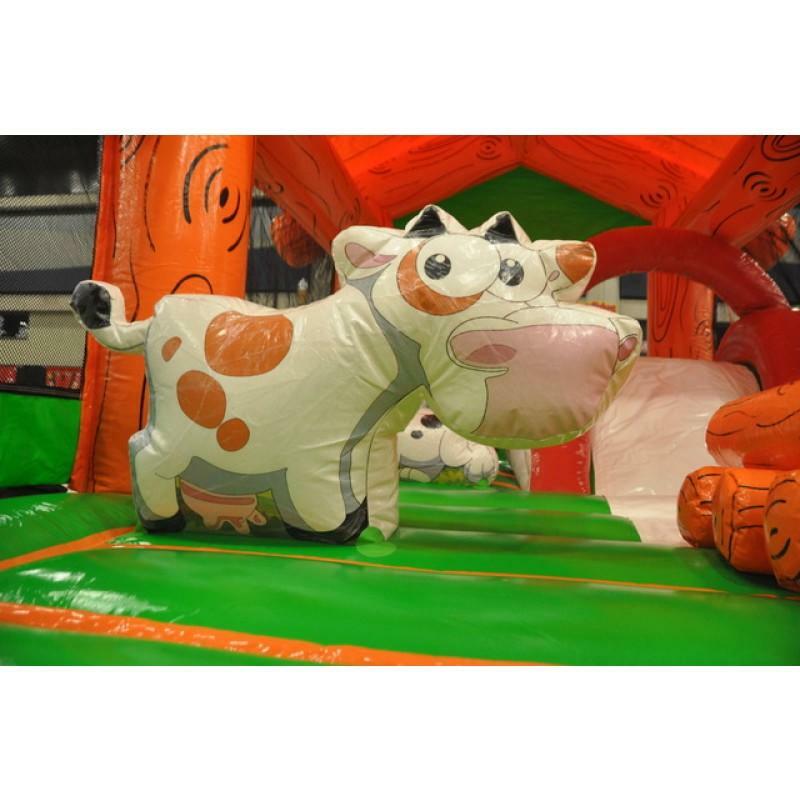 It is an exciting, safe way for children to interact with each other during any event. Naturally, kids want to jump around and play in a fun setting. 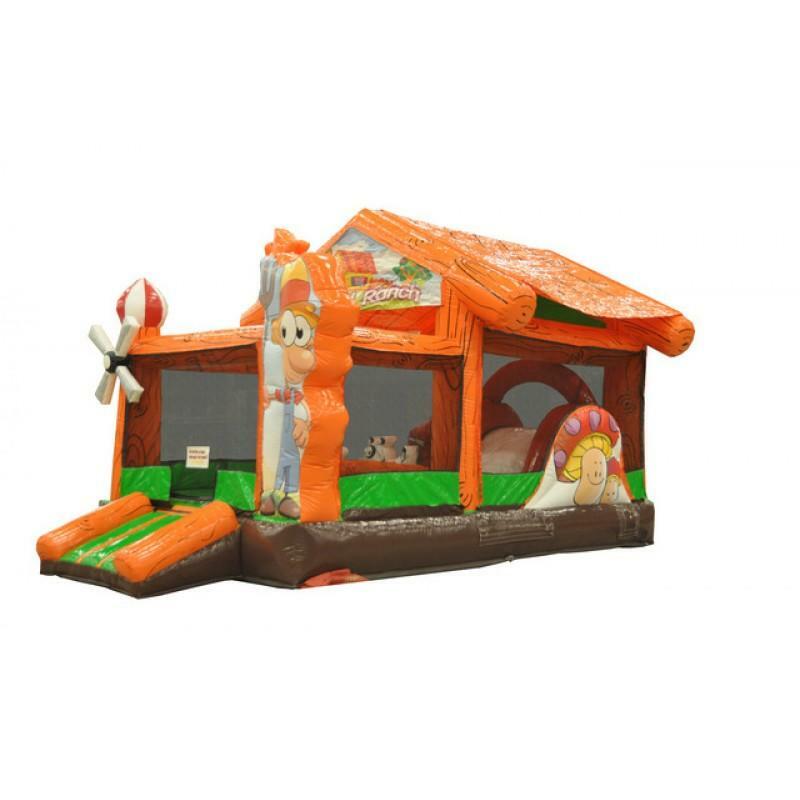 This inflatable bounce house combo allows them to do just that in a safe way while giving all the guests positive and valuable memories to cherish for years to come. With large screened windows, not only provide fresh air to the little ones, but it allows the parents to keep "an eye on them" at all the times, and a roof to provide shade. 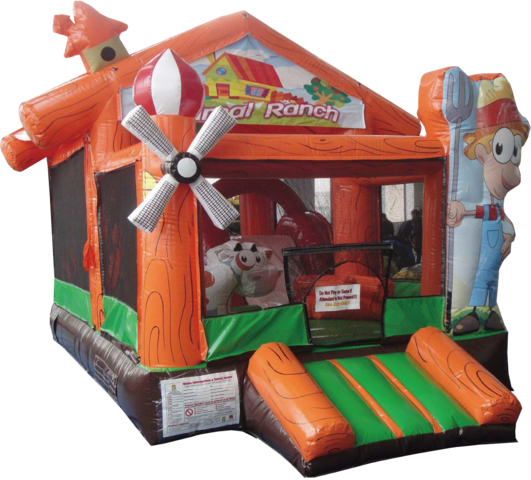 You can rent in addition to our toddler bounce house tables and chairs, concession machines and party supplies.